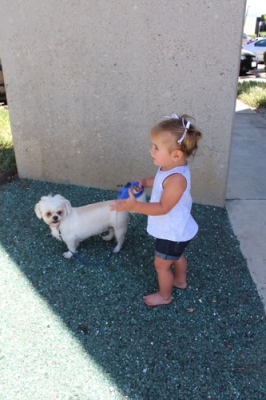 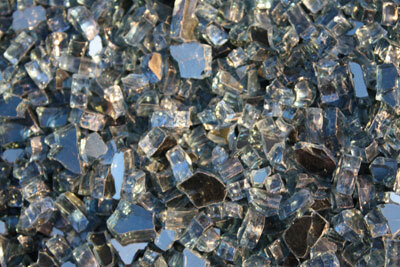 The pictures below are of Ford Blue Base Glass and Ford Blue Reflective Base Glass from beginning to end. 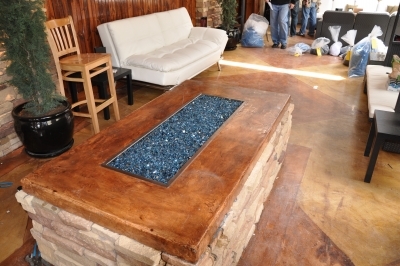 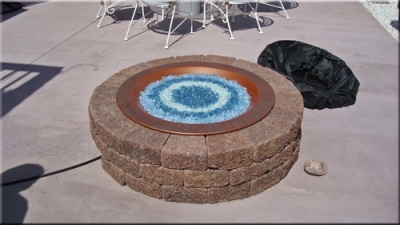 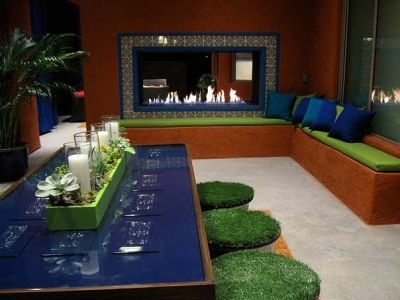 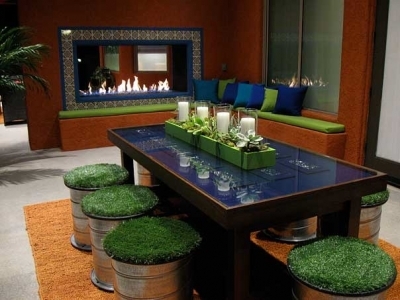 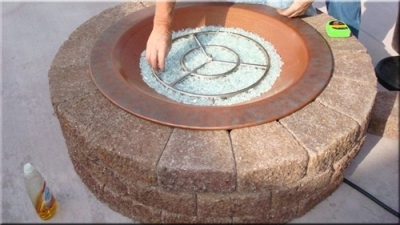 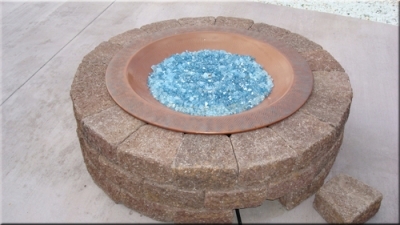 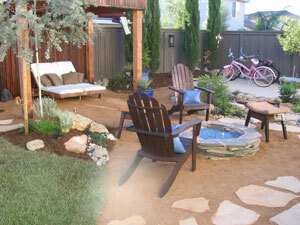 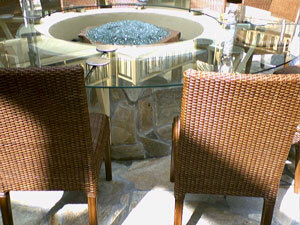 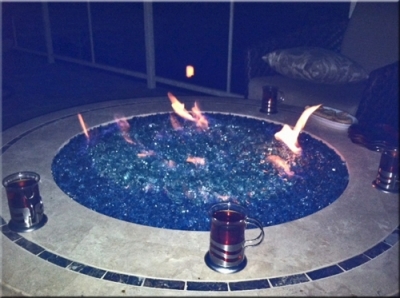 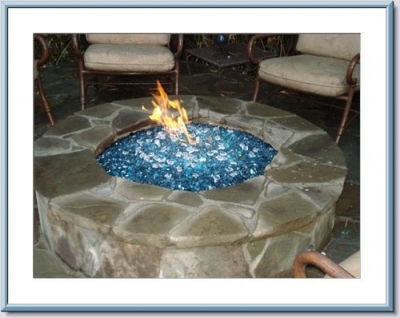 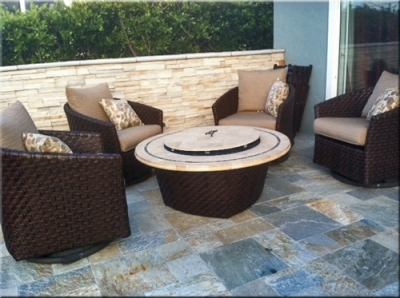 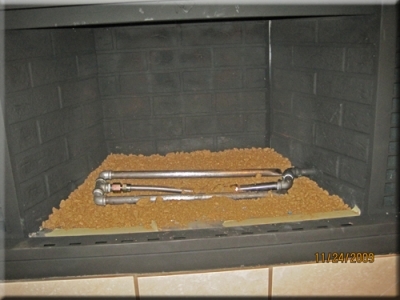 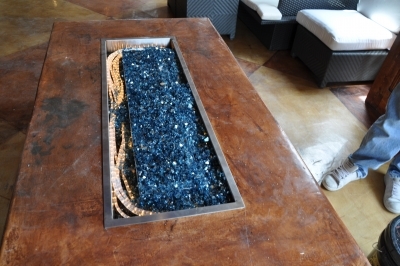 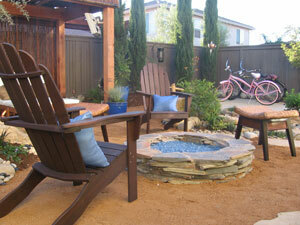 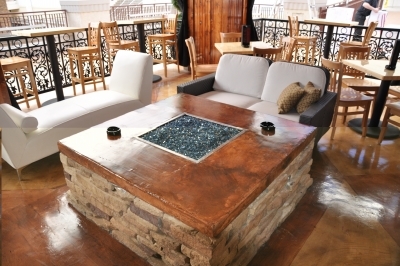 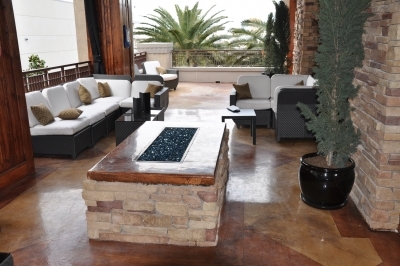 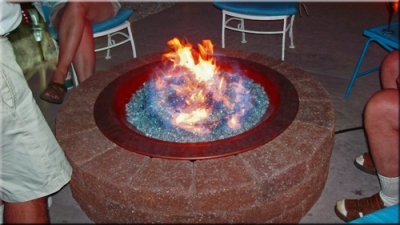 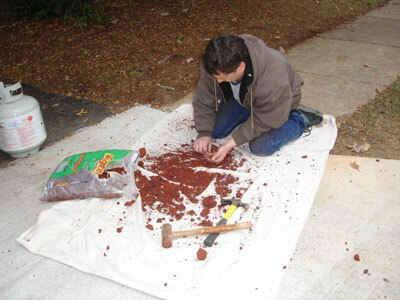 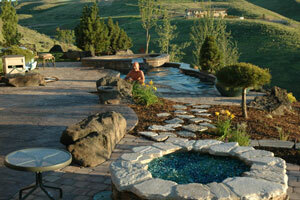 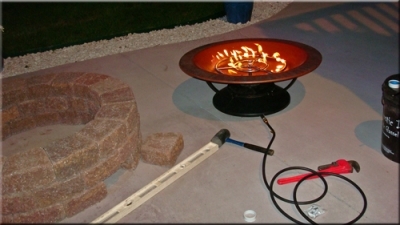 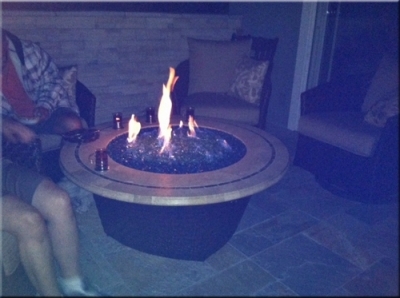 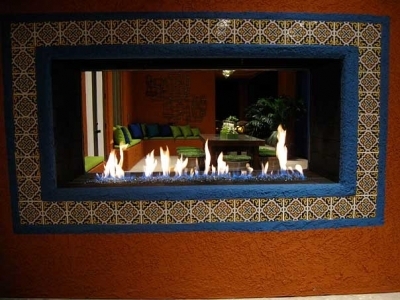 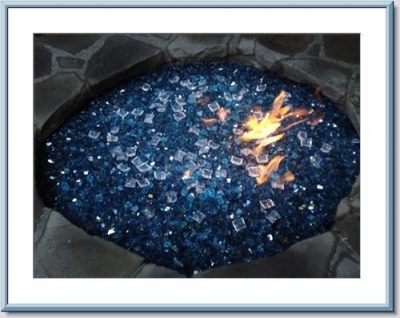 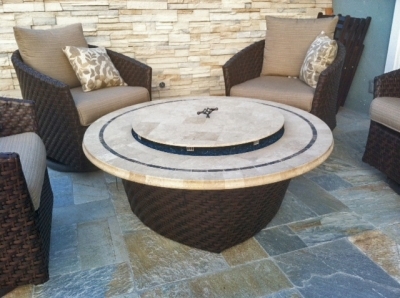 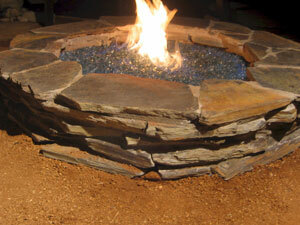 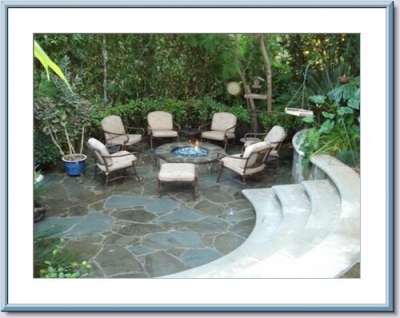 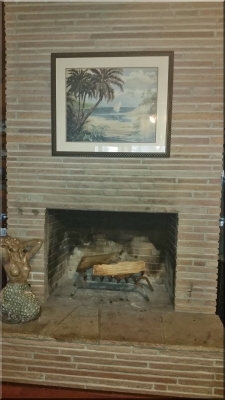 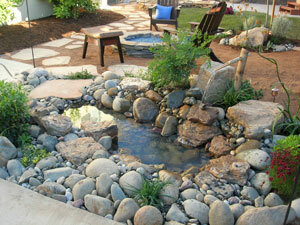 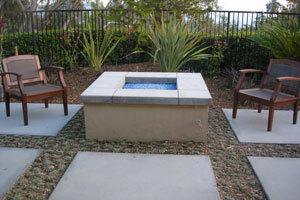 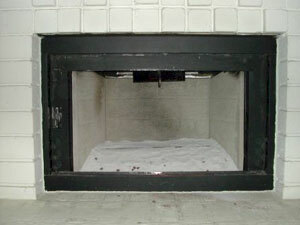 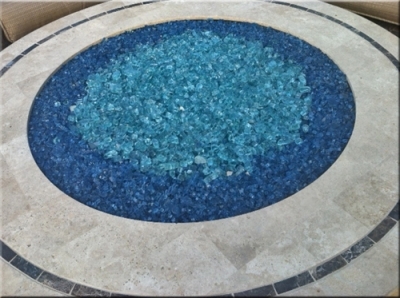 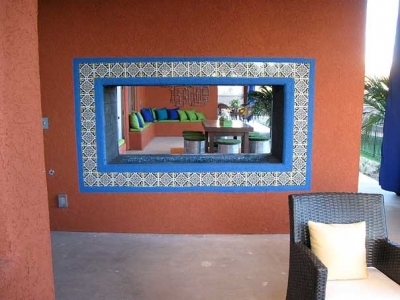 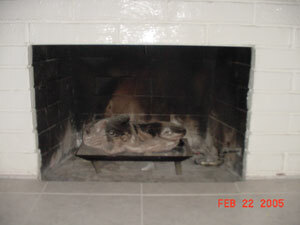 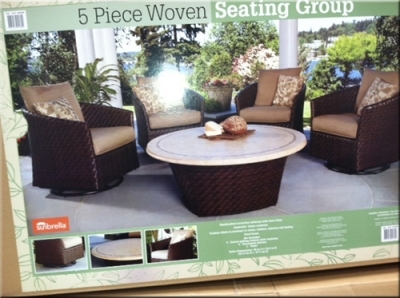 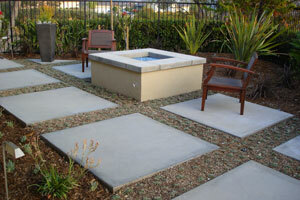 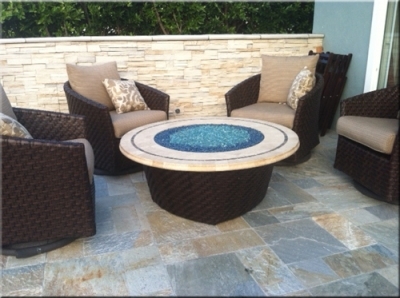 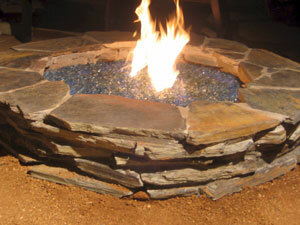 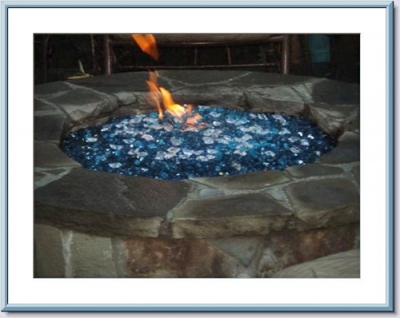 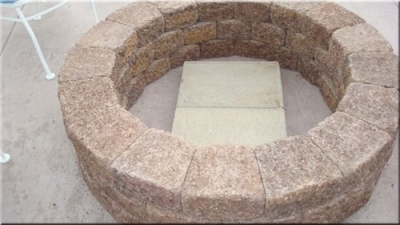 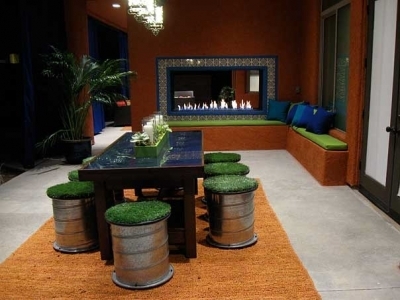 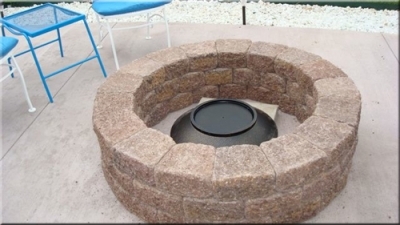 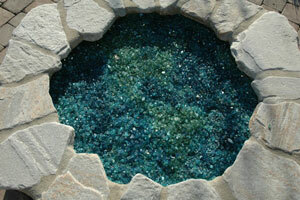 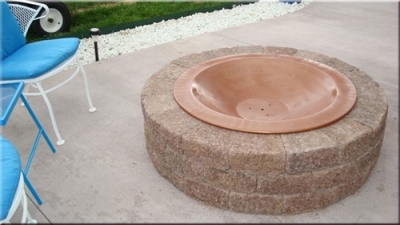 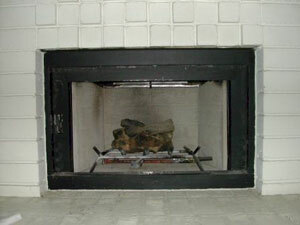 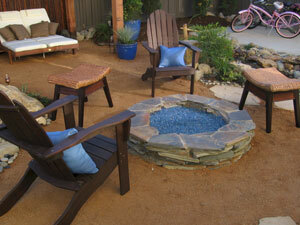 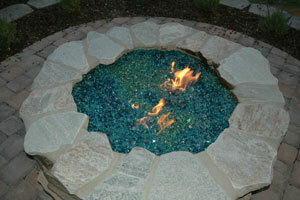 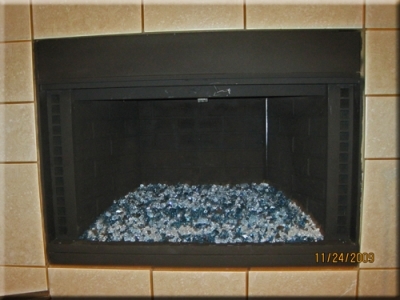 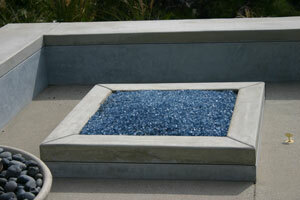 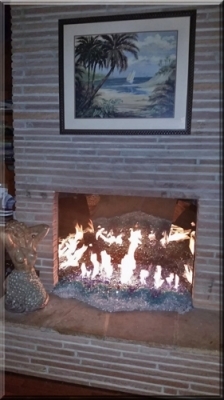 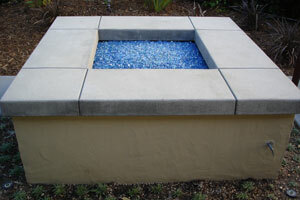 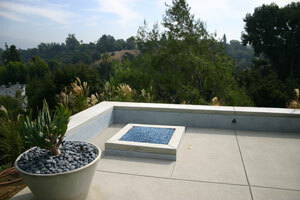 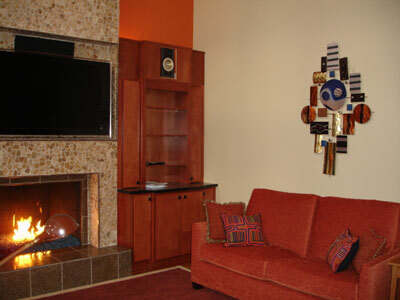 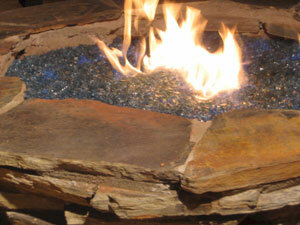 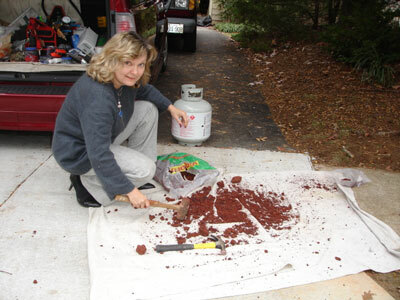 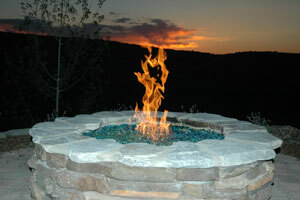 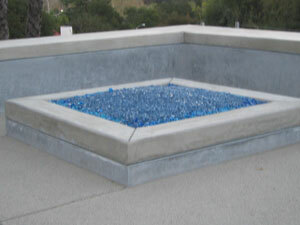 The fire pit/ Fireplace below was featured on Extreme Makeover Home Edition. 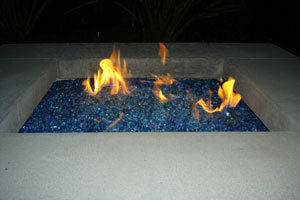 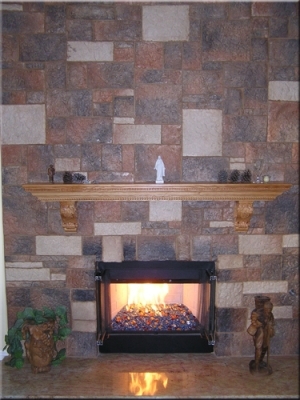 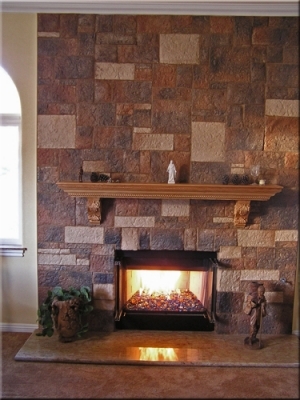 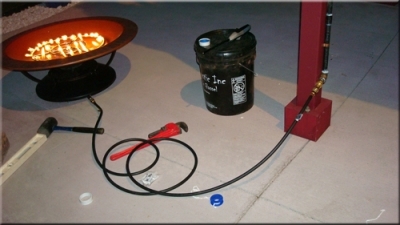 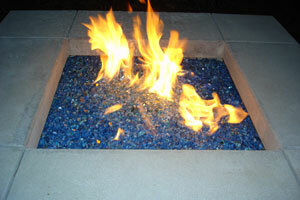 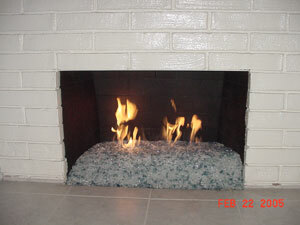 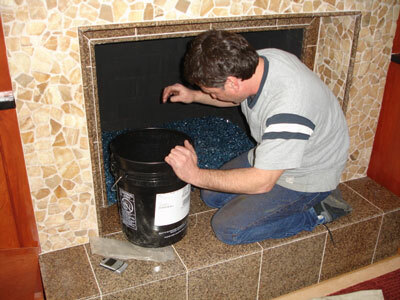 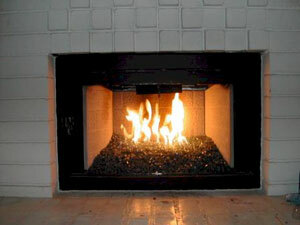 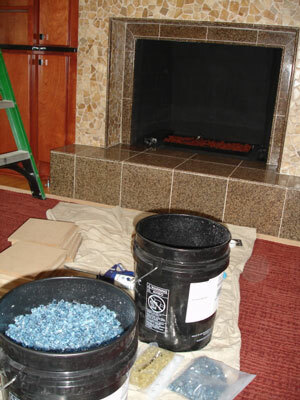 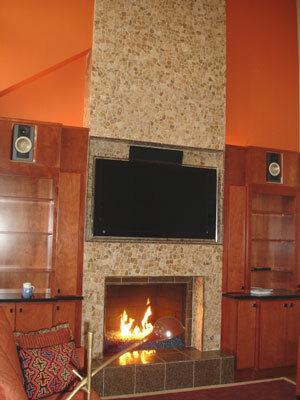 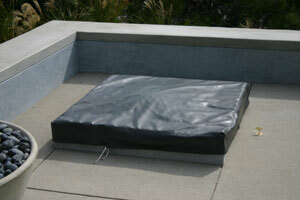 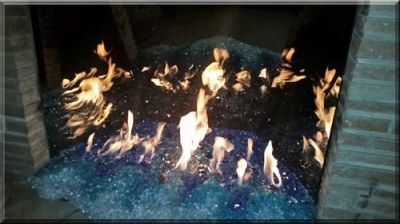 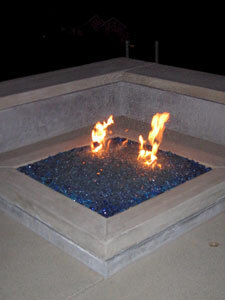 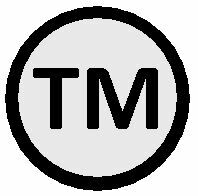 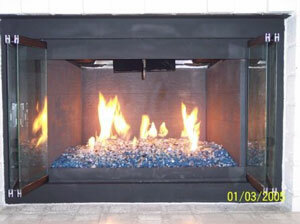 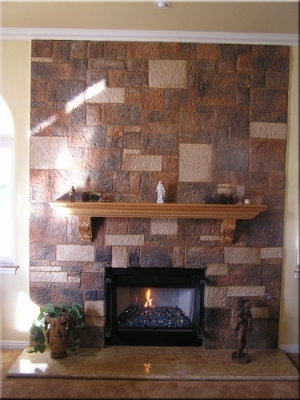 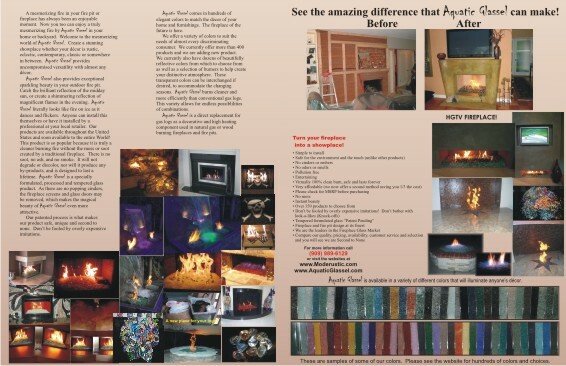 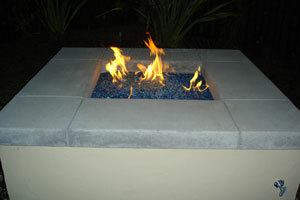 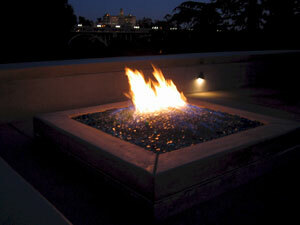 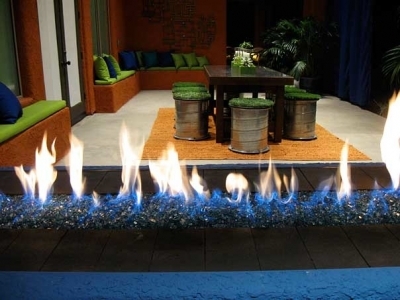 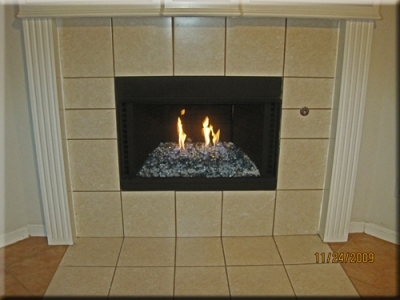 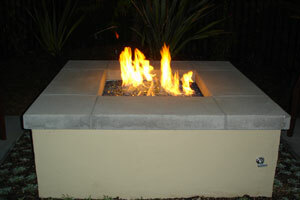 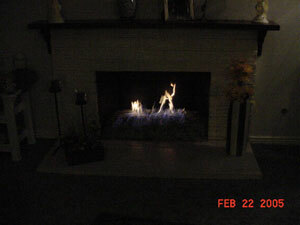 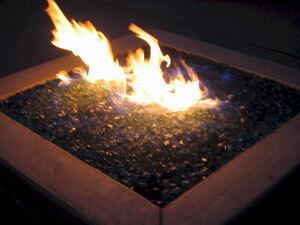 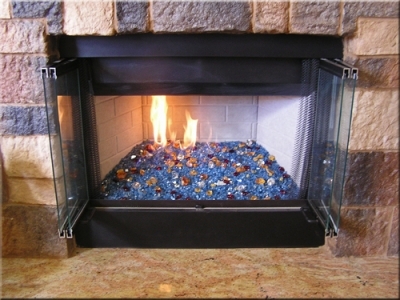 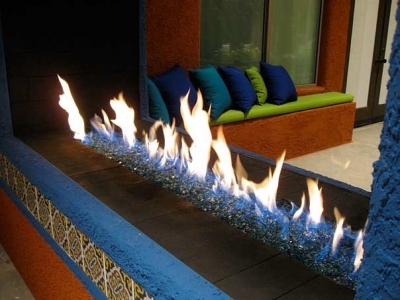 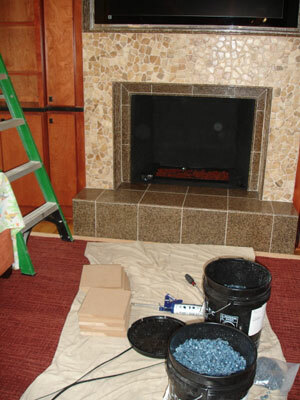 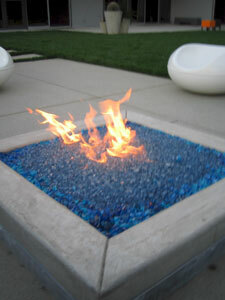 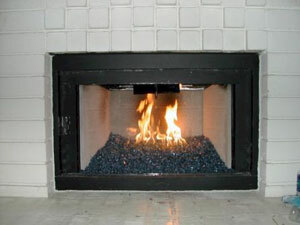 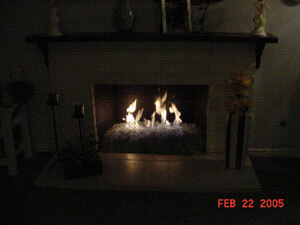 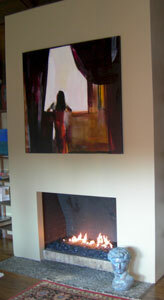 The products was supplied by one of our most credible dealers "Exotic Flames". 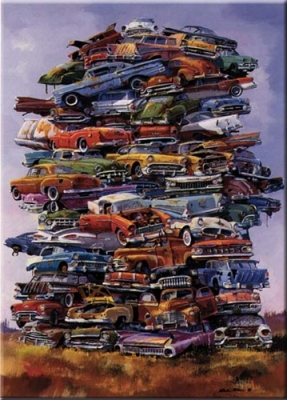 Carl Herkes. 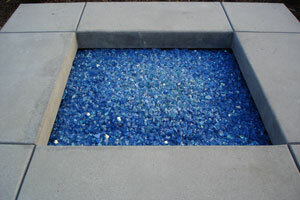 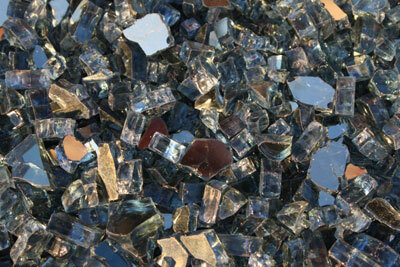 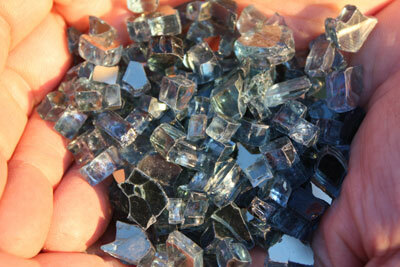 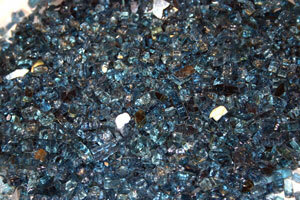 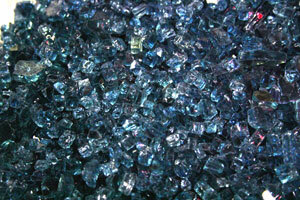 The supplied was Ford Blue Base Glass and V Blue Base Glass, both in Reflective as well. 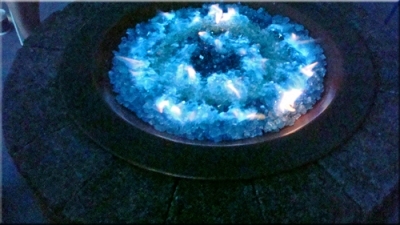 This added a nice sparkle when it was burning or just when light was present.